More than 70 percent of all daily global Internet traffic travels through Loudoun County. We’ve got three new commuter train stations opening in 2020. In a lot of ways, Loudoun’s a pretty futuristic place, booming with more and more to offer both its visitors and its lucky residents. 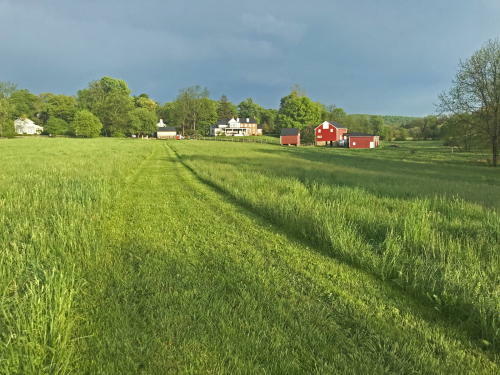 It may come as a surprise to some, then, that Loudoun County is also composed of several towns and villages blooming with antique charm. This week, we’ve asked the Waterford Foundation to help show you the best way to discover this vintage treasure of a village. Take a stroll with us along historic Main Street and find yourself down a “Memory Lane” that stretches as far back as the 1700s! A perfect day in Waterford is a walk through history, small town life and preserved open spaces. When you stroll the streets of the Waterford National Historic Landmark, you’ll step back in time. 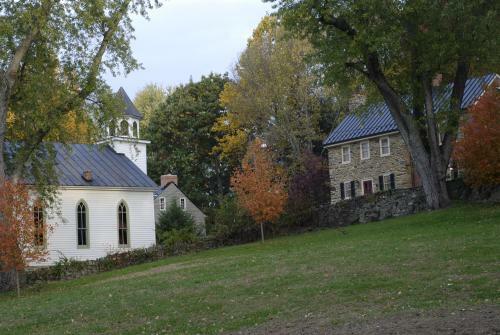 First settled in 1733 by Quakers from Pennsylvania, it is an extraordinary collection of 18th- and 19th-century buildings set within 1,420 acres of rolling farmland located just 15 minutes northwest of Leesburg. The village’s homes, places of business and the rolling fields that surround them today look much as they did in the 19th century. 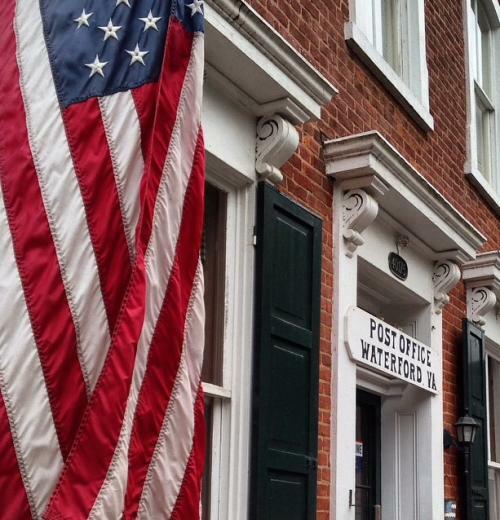 With its rich heritage in furniture manufacturing, farming, Civil War actions and African-American life, Waterford is a wonderful place to visit. From the Old School, the best way to explore the village is to follow Main Street down the Big Hill and towards the Old Mill. On your way down the hill, don’t miss the Jail, which was in use from the early 1800s until 1936. Continuing down Main Street, you’ll pass the Corner Store, the Post office and the Pink House at the center of town. 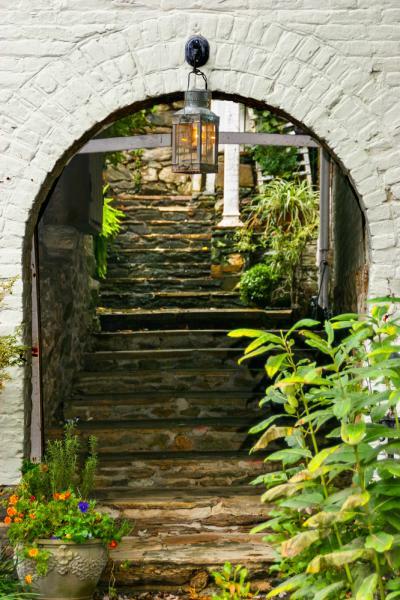 As you continue your stroll down Main Street, be sure to check out the “Arch House row,” a collection of charming architecture built circa 1810. These structures were some of the first in Waterford to be restored by the Chamberlin family in the 1930s. The buildings in this row have housed many businesses through the years, from a tavern to a shoe store. Like most of Waterford’s buildings today, the Arch House row is now all private residences. Approaching the Mill end of town, you are nearing some of the oldest buildings in the village. The Hague-Hough house, situated on the hill above Bond Street, contains the oldest structure in the village, circa 1744. The Old Mill is actually the third mill built on the site, erected circa 1818. 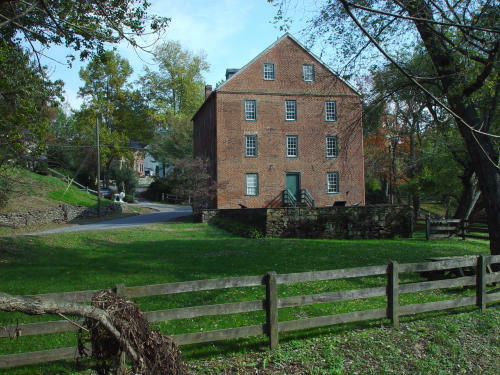 The Mill was one of the first structures saved by the newly-formed Waterford Foundation in 1944. Across the street from the Mill is the gothic revival John Wesley Community Church, built by the African-American community of Waterford in 1891. Members of the congregation constructed parts of the building by lantern light, as they worked late into the night day after day. Behind the mill you will find the entrance to the Phillips Farm Interpretive Trail, a 1.5 mile walking trail that leads back to the dam that diverted Catoctin Creek to power the Mill. Phillips Farm trail brochures are available at the trailhead, or online here. Walk quietly on the trail and you may see the wildlife that calls the farm home—including wild turkey, herons, beaver, deer and many species of birds. 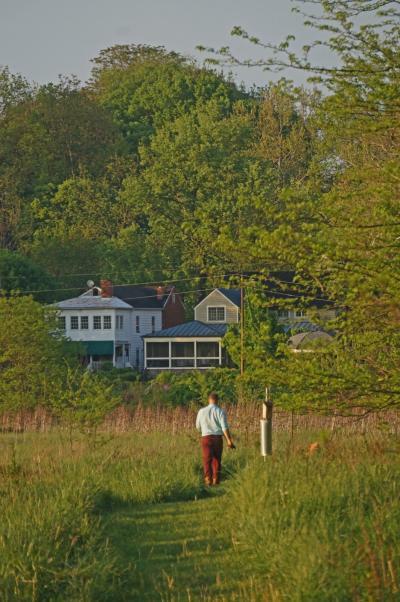 Enjoy your visit to Loudoun’s National Historic Landmark District! Check out the Waterford Foundation website to find more details about things to do in Waterford, including information about parking and dining options. We can’t wait for you to wander through Waterford!